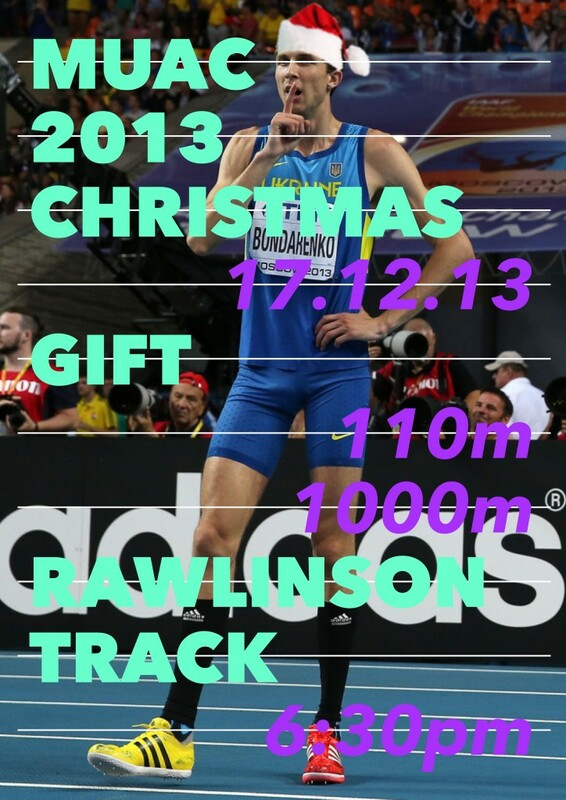 Finish the year in style with the 2013 MUAC Christmas Gift. 110m and 1000m handicap races. BBQ and refreshments afterwards in the MUAC Clubrooms.